Lufthansa's Miles & More is offering 500 free miles for downloading and logging into to their app so Aegean Airlines must have felt like they should do the same. 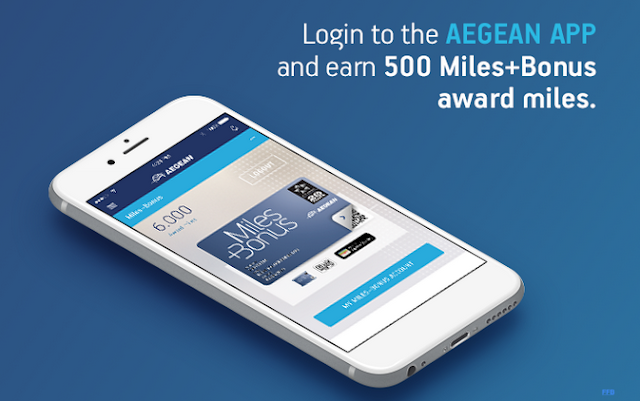 Right now when you log into your Miles+Bonus account on the Aegean app they will give you 500 free Miles+Bonus miles. You may be asking why post this to Rewards Canada but I know there are some of you who are crediting your Air Canada and other Star Alliance flights to Aegean Miles+Bonus since they have one of the easiest Star Alliance Gold qualification requirements and here are 500 more miles for you thought they are not elite qualifying. Also it can be away to extend miles in your Miles+Bonus account if you haven't used it for awhile like us who did pre-2015 when Aegean had super-easy Star Alliance elite qualifying.